Famous Last Words in Pulp Adventure; "Animated temple guardians? Nah, that never happens. Let's just go straight in." Although these chaps would give even the most insouciant tomb robber pause for thought! They turned out nice and still useful! I am sure there was once a set of 28mm Terracotta Warriors. Maybe some other reader will know who produced them. 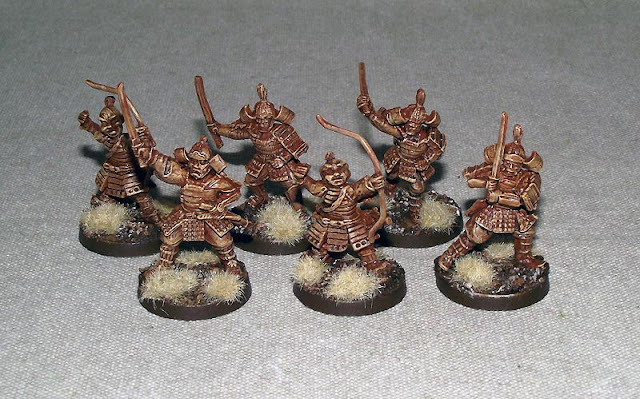 These look great and ideal for a Pulp scenario. I think this is brilliant, in fact I might be digging out any left over Samurai and doing the same! Sounds like a pretty handy use for them and they look good too.